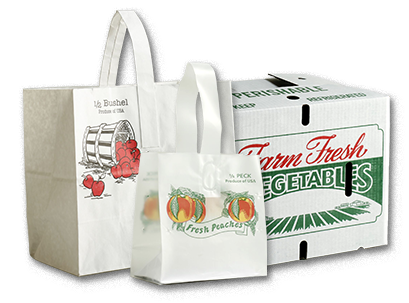 At Rockford Pack, we understand and cater to the pace & demands of the produce industry. We are uniquely customer-focused, providing value to our customers through exceptional service, expertise & quality products. 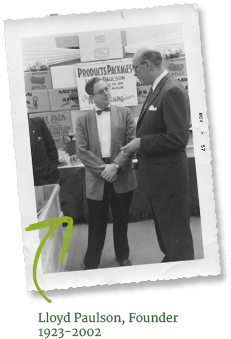 Our story began in 1959 when Lloyd Paulson saw an opportunity to provide packaging to local growers under a simple premise: service beyond customers’ expectations. With the encouragement of his wife Marilyn, he added an extension phone line in the basement of his house in Rockford, Michigan and Rockford Package Supply was born. Though we continue to grow with our customers, our mission has not changed in nearly 60 years of operations. Today, the tradition of service continues with 2nd generation Howard Paulson & 3rd generation family members Chad, Ted, & Kristen. We strive for a true partnership and are consultants for growers large and small on packaging best practices, food safety and streamlining operations. All of this ensures the unique needs of every customer is matched with the best possible customer experience. As farmers, growers, packers and marketers, we know you work hard for your money, and you want to spend it wisely on products and services that will help your businesses become more profitable. We appreciate the opportunity to be a part of that effort.